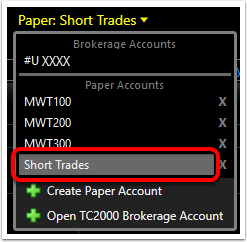 TC2000 offers fully simulated trading in Paper (practice) Accounts. All trading tools function in simulation for practice purposes. 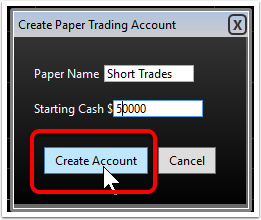 While there is one account automatically created for you, you can create more practice accounts for any purpose you desire. Here are the steps. 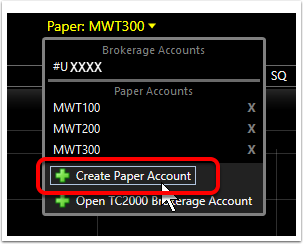 Note: live brokerage account(s) appear above the gray line; all practice accounts appear below the gray line in the menu. 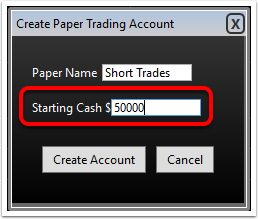 It may be helpful to choose account names that reflect the purpose of the practice trading account.